Pakistan and India will go head to head in their Asia Cup 2018 clash on September 28 in the UAE. This will be the first of possible three matches that these two sides will play in this tournament before clashing again during the 2019 World Cup in the UK. An India-Pakistan encounter brings out the best in both sets of fans and brings the two countries to a standstill but this one is rather special given that it comes after 15 months of their previous match in the 2017 Champions Trophy final. 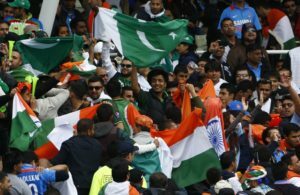 India had gone into that game as favourites and Pakistan had handed them a rather one-sided beating to win the trophy. Earlier in the competition, India had done something similar to Pakistan but the latter had come back well to win four games in a row to win the title after that defeat. Overall, in ODI cricket, Pakistan have a good win-loss ratio against India, having won 73 and lost 52 to them. Pakistan would love to win all games here to narrow that gap. What’s been good to note is Pakistan’s progress in ODI cricket under Sarfaraz Ahmed and coach Mickey Arthur. Since taking over as the coach, Pakistan has won more ODIs than they have lost and their T20I record has propelled them to the number one spot in the ICC Rankings. This isn’t to say that India will be pushovers. In that same time that Arthur took over as coach of Pakistan. India has a great ODI Record that makes them the number two ODI side in the world. While that defeat in the Champions Trophy final will rankle, India will still enter the game as slight favourites given their own form. However, a lot could be clearer once India returns from England where they will be playing the number one side in the world in ODI cricket. England’s brilliant record in ODI cricket makes life miserable for most opponents but with India in this form, it could be an interesting match-up and will give Pakistan a chance to assess the situation.